No matter how nice your lawn is, ragged and untidy edges can spoil its appearance. This is where lawn edging and garden borders can help to transform your garden, giving a neat and seamless finish. Using garden borders and lawn edging is also a great way to prevent grass from creeping into your flower beds or stylishly divide any garden space. You can also use reclaimed railway sleepers to create a multitude of different borders and add a traditional touch of rustic charm. At AWBS we stock wooden lawn edging – both rigid boards and flexible log rolls – in a variety of heights for an effective and attractive option. 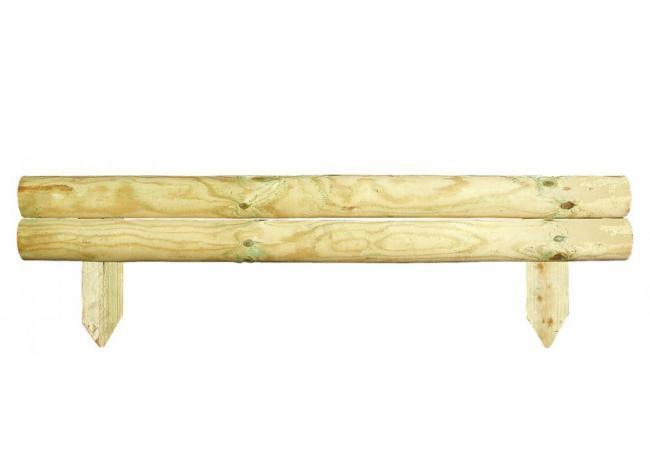 With natural colours and curves, wooden lawn edging gives a lovely soft feel. We offer free local delivery from our Oxford, Yarnton and Swindon branches as well as our price match pledge, so for all your garden projects we’re the only place you need to go. When it comes to neatening up your garden, we have a wide range of lawn edging and garden borders to add a lovely finishing touch to any style of property – from contemporary curved log edging to rustic reclaimed railway sleepers. 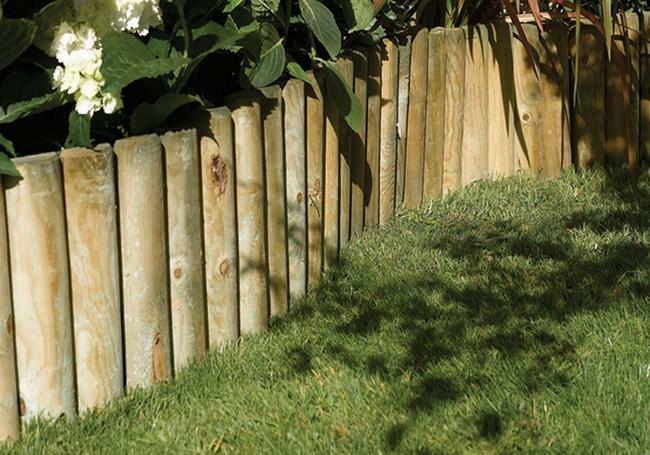 The Grange horizontal log board is ideal for creating a strong boundary edging, with two sturdy pieces of pressure-treated timber. 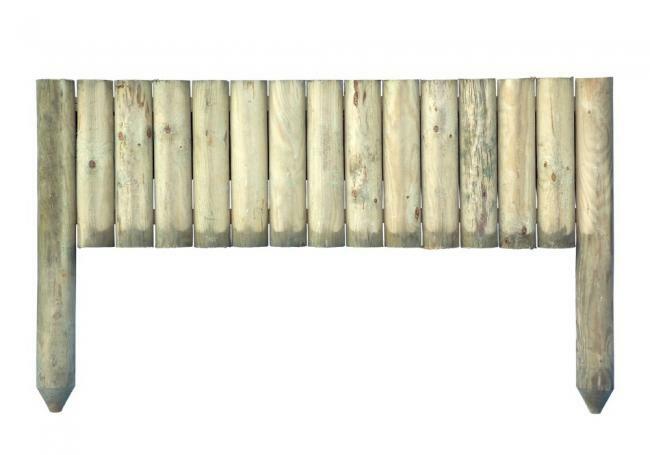 For a softer feel, the Grange log roll border is a hugely popular choice, available in three different heights to give you flexibility to how your garden border looks. 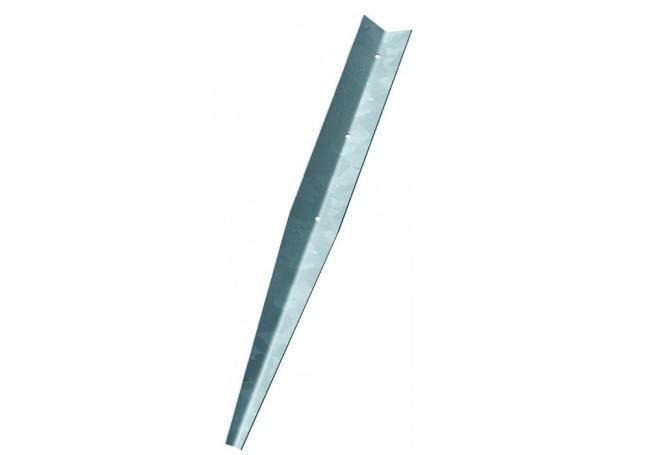 Made from treated timber, this half-round lawn edging is ideal for edging off paths, lawns, flower beds and borders. We also stock a range of reclaimed wooden sleepers, new softwood sleepers and French oak sleepers. Find out more about our full range of garden and horticulture products here. To find out more about our range of lawn edging and garden borders, visit one of our showrooms, where we have extensive displays of all of our products, and friendly staff members who are on hand to answer any questions and offer advice on your outside project.